Bob Moyer is catching up with all the new books he missed while off gallivanting. Here’s the latest, No. 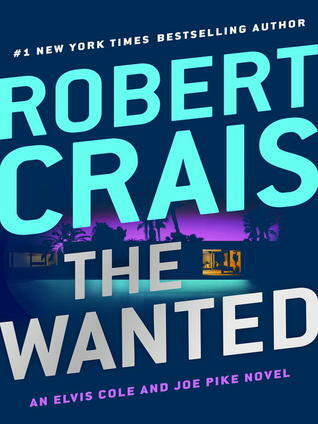 17, in Robert Crais’ long-running and best-selling Elvis Cole and Joe Pike private-eye series. THE WANTED. By Robert Crais. Putnam. 322 pages. $28. The dust jacket says it’s an Elvis Cole and Joe Pike novel. Not really. Elvis does the heavy lifting, and Joe drops by to pull his bacon out of the fire from time to time. The book isn’t even about Elvis, either. A distraught mother hires Elvis to find out just what kind of crime her son has been committing. She has evidence of possessions he can’t possibly afford. Without too much trouble, Elvis finds out the boy is part of a small gang of kids who have been burglarizing upscale homes, and selling the products of their chicanery. Elvis sets out to get the boy and his cohorts a deal if they turn themselves in. 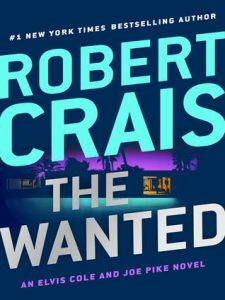 Unfortunately, the two meanest, and likely cleverest bad guys Robert Crais has ever conceived are a couple of steps ahead of Elvis and a dangerous step behind the boy. Obviously, those crazy kids took something that somebody wants back badly, and nothing seems to stop them. A trail of dead bodies turns up behind the two wisecracking, bizzaro versions of Joe and Elvis. Using state of the art surveillance, the villains close in on the last two of the gang, only to be thwarted by a last-minute turn of the plot, and the timely appearance of Joe Pike. The narrative here is sustained by a growing connection and concern between Elvis and the boy. Elvis almost lost the son of his former lover, and the imminent danger the boy now faces hits home with him. With as much emotional depth as he’s ever put into a book, Crais has made sure this book is not about the bad guys. This entry was posted in Detective fiction, Mysteries and tagged detective fiction, Elvis Cole and Joe Pike, Robert Crais. Bookmark the permalink.